In the wee hours of the morning, our valiant bakers start the fire in our brick oven. It takes three hours to get the oven hot enough to bake a great bagel. When we’re asked what makes our bagels so good, we show people the oven. A simple dough of flour, water, malt and salt. 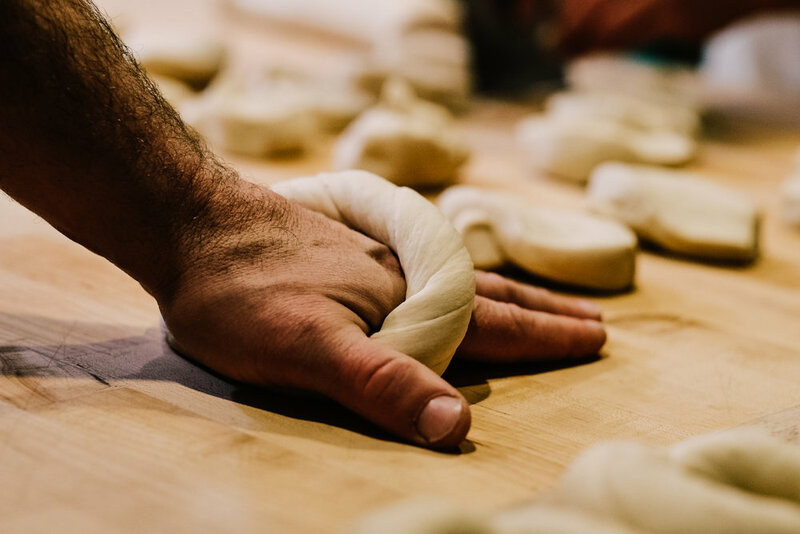 Our bagels are hand rolled, then aged for two days. They are naturally leavened with our wild yeast starter. Boiled then baked next to the hardwood fire. Though a bit biased... we don’t think there’s a better bagel anywhere.